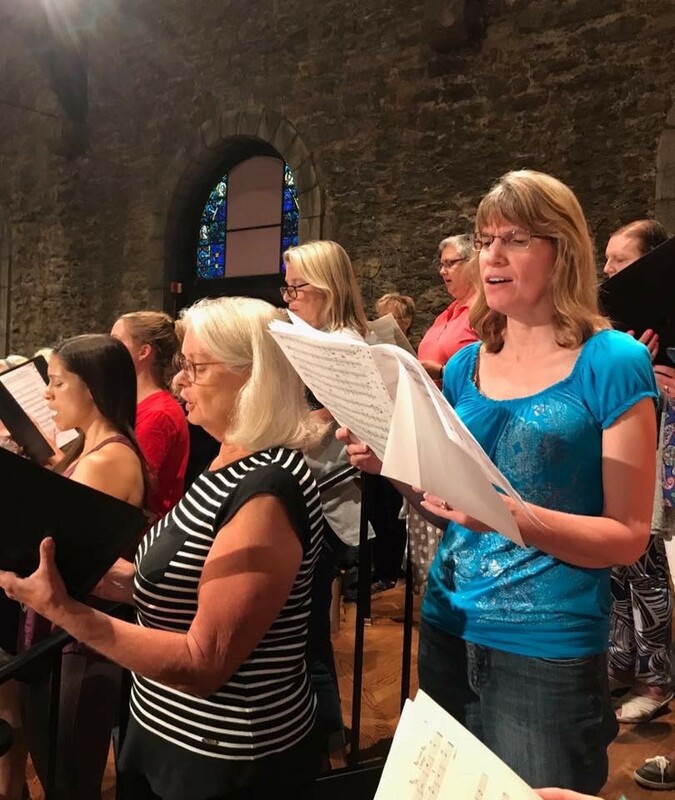 The Summer Singers of Kansas City is a community chorus of 125-150 voices that begins weekly rehearsals in June of each year in preparation for a performance of a major choral-orchestral masterwork at the end of August. Annual performances are given in collaboration with some of the region’s finest professional soloists and with members of the Kansas City Symphony. Participants have included professional musicians as well as singers participating in a choral ensemble for the very first time in their lives. Choristers come from as far as Hiawatha, Topeka, Garden City and Emporia to be a part of the Summer Singers experience. Created in 1999, the Summer Singers of Kansas City is now anticipating its 19th season. Recent summer concerts have featured ambitious works including Haydn: The Creation, Mass in Time of War and Lord Nelson Mass, Handel: Coronation Anthems, Judas Maccabaeus and Dettingen Te Deum, Brahms: Ein deutsches Requiem and Liebeslieder Waltzes, Beethoven: Symphony No. 9 in D minor, Mass in C and Choral Fantasy, Mendelssohn: Elijah, Vaughan Williams Dona Nobis Pacem, and Mozart: Requiem, Solemn Vespers and Great Mass in C minor. The 2019 Summer Singers of Kansas City will join with professional soloists and chamber orchestra to perform Handel's most dramatic oratorio Israel in Egypt. Membership registration opens March 1 of each year. Membership is open to all adults and mature youth regardless of choral experience or background.